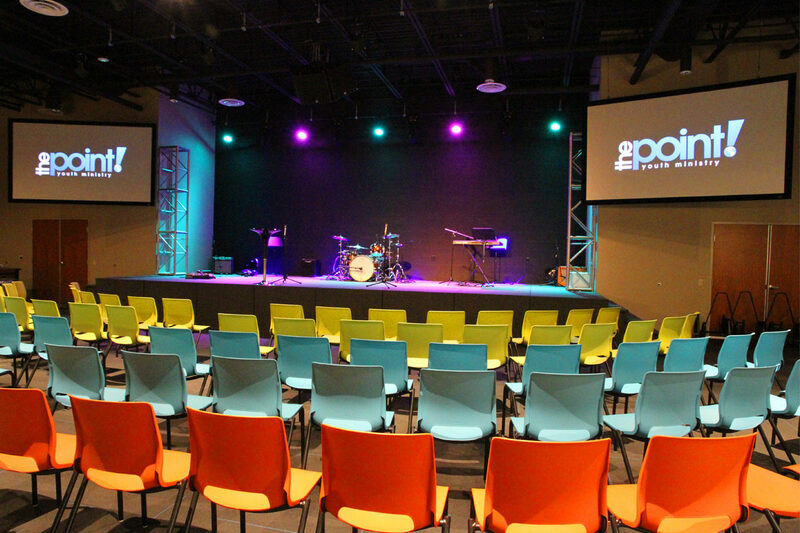 With its focus on a more contemporary service, and the demographics of the church trending younger, this new church facility needed to focus its build towards a transitional environment. 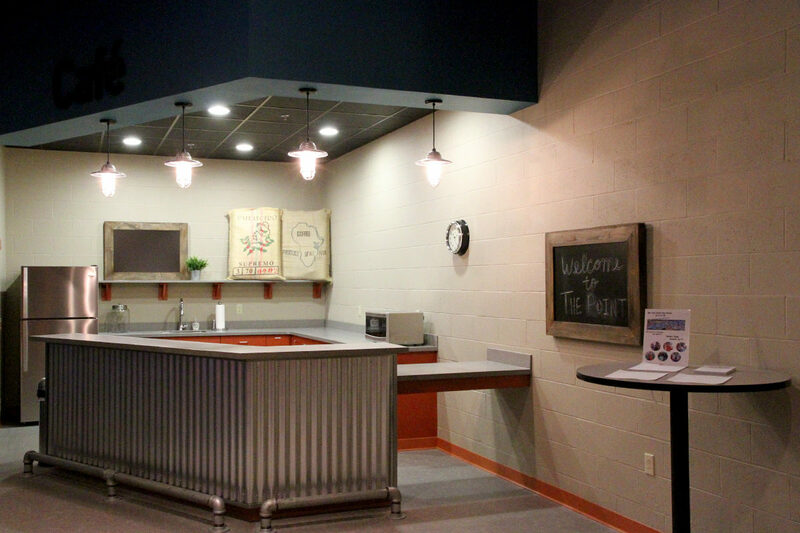 The creation of a children and youth wing, meant many new and existing families could grow within this church. 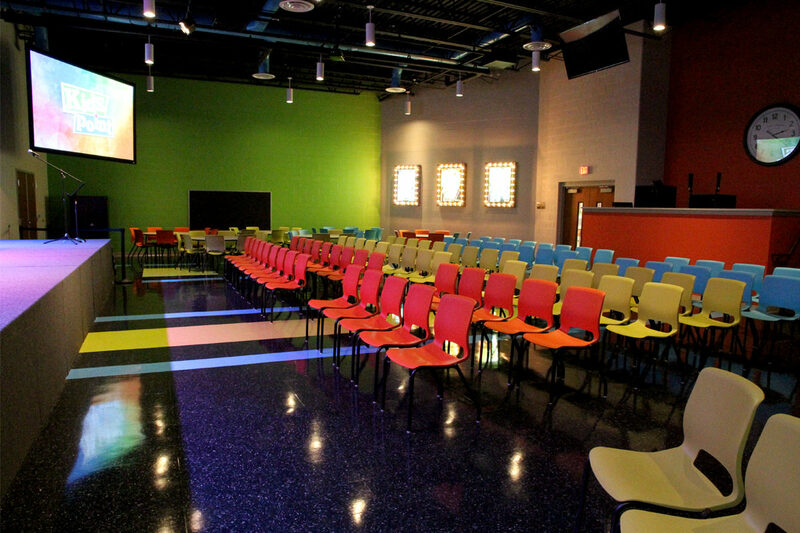 Upon entering the church, there is a long corridor with inviting seating areas. 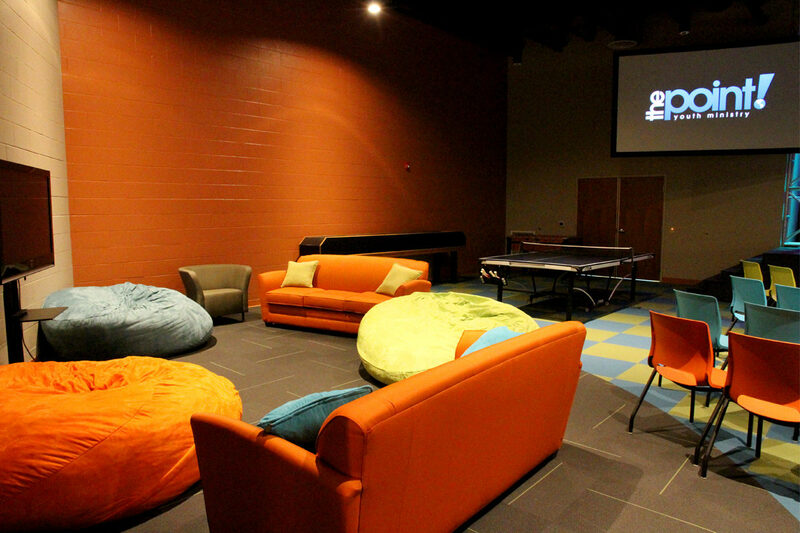 A comfortable space of transition where parents, before heading to the main church for their services, can congregate and then lead their children to the youth areas. 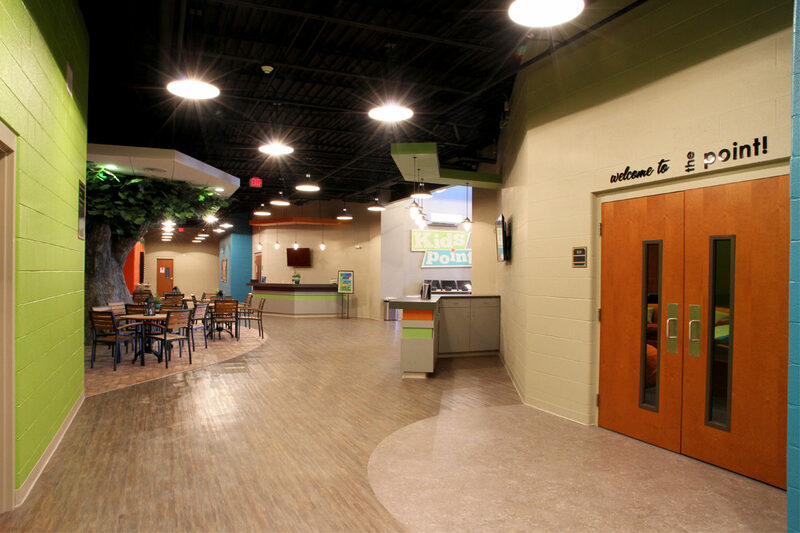 Designing the children’s wing and youth wing, meant the incorporation of much technology and creativity into the environment as the church wanted it to not only be fun, but stimulating for the children. 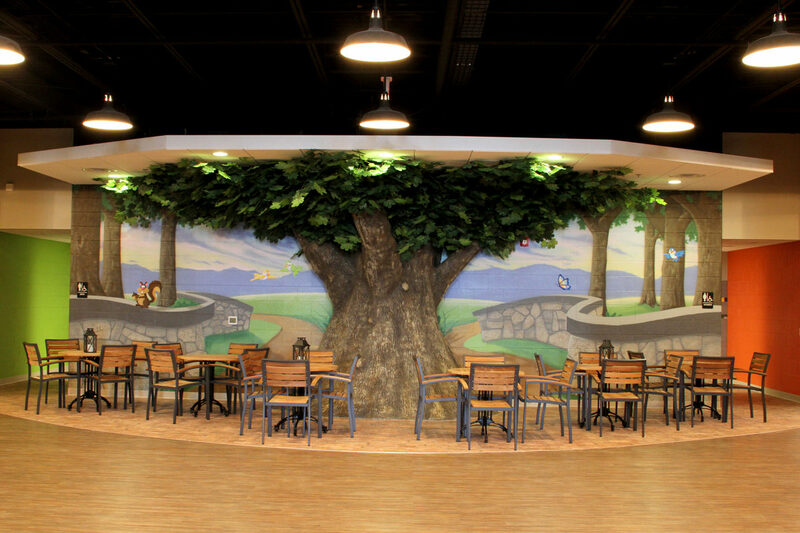 Knowing that children are incredibly visual, the design incorporated elements that children, but all ages, would enjoy. 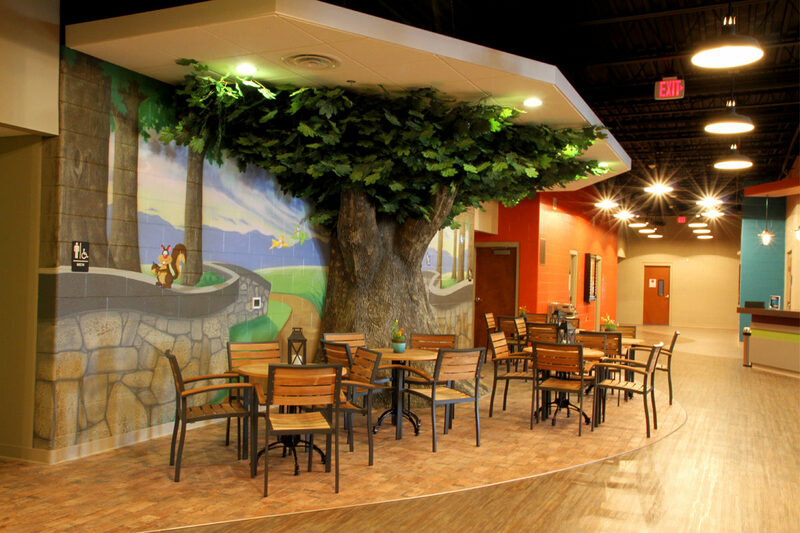 At the core of the building is an enormous, artistically designed and very comforting tree. 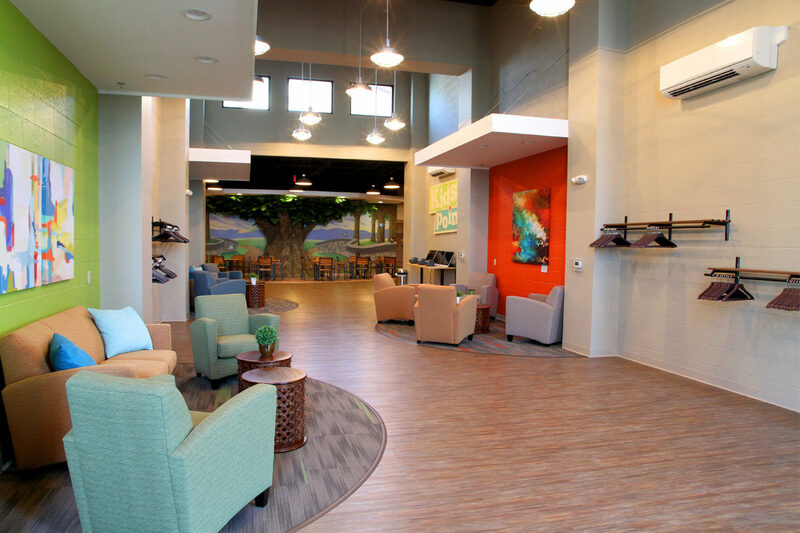 Surrounded by multiple tables and chairs, and a colorfully painted mural, it’s yet another comfortable gathering space for members to congregate. 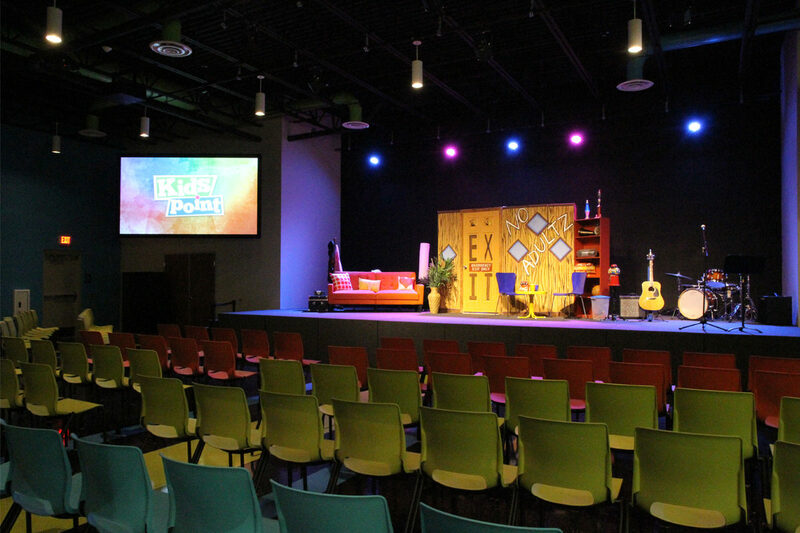 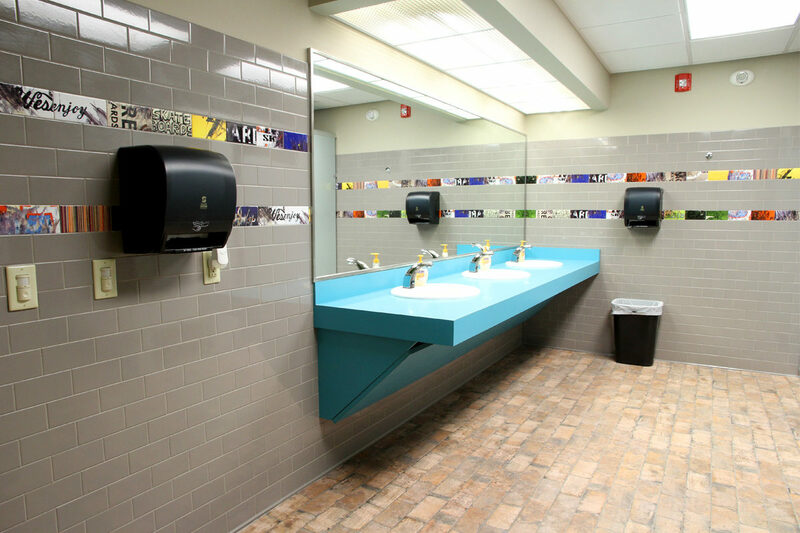 To the left, The Point, an area for teens and pre-teens, is filled with stimulating bright colors, materials, furniture, and the wall graphics and murals throughout are tailored specifically towards the age group and theme.